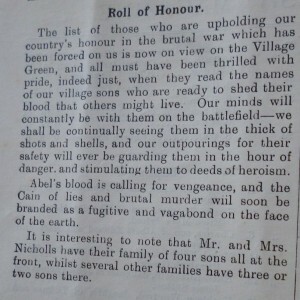 Each week during WWI, the local newspapers published a ‘Roll of Honour’. It listed the names of local men who had been wounded, taken prisoner of war, were missing, or killed in action. It also included the names of those who had recently signed up with details of which village they came from. 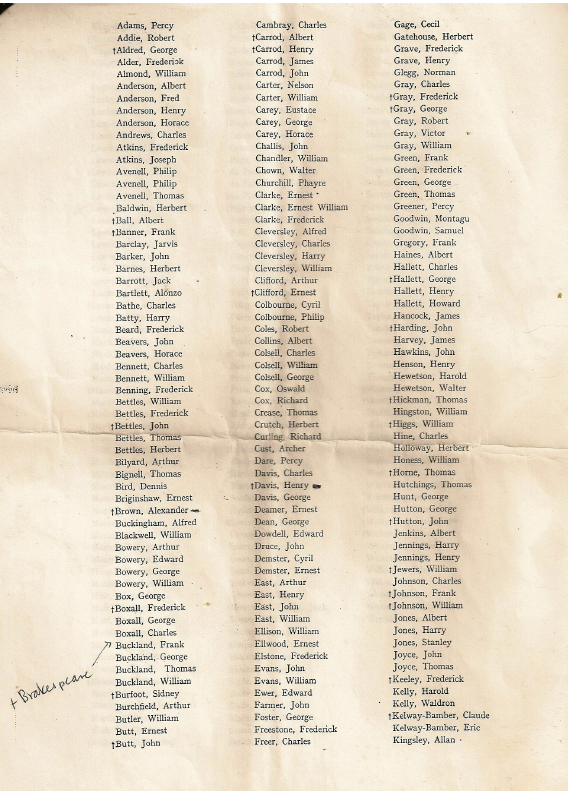 In the Windsor and Eton Express on 9 January 1915, there was a list of all the local men who had joined up in the six months following the outbreak of war. It included more than 190 men from Datchet. (To put this in perspective, in 1911 the village had a total population of just 2056.) This number more than doubled before the end of the war. 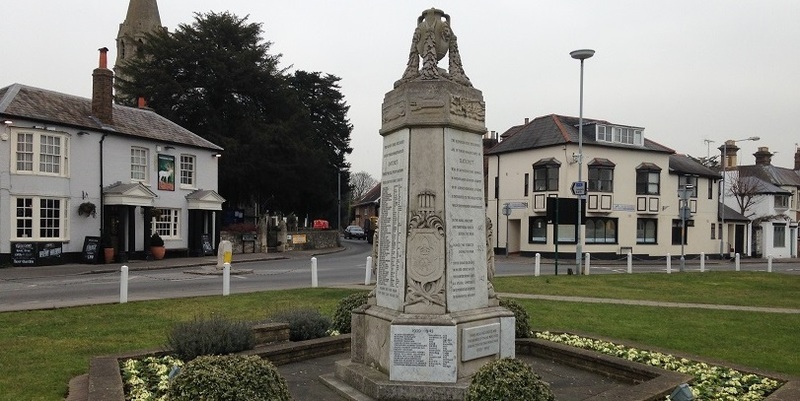 After the war ended, it was decided to erect a war memorial and an attempt was made to compile a list of every man (and woman) who had served as well as those who had been killed in action. 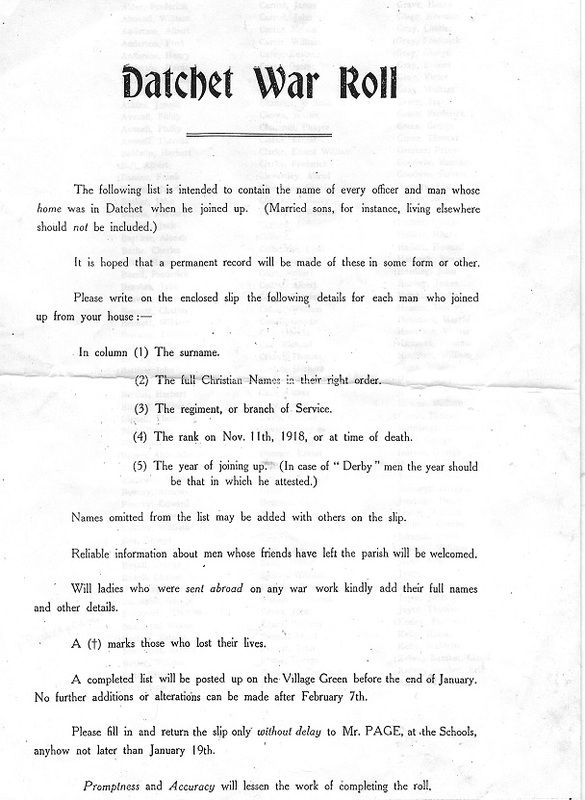 A request, below, was sent out asking villagers to provide names and details to Edward Page*, the headmaster of the village school (now St Mary’s) from 1901-1926. It would have been heartbreaking for him to see all the names as they came in. He would have recognised many of them as former pupils. It was clearly the intention of the War Memorial committee to make some public record of all those who had served during WWI, but the compilation of a definitive War Roll was abandoned. 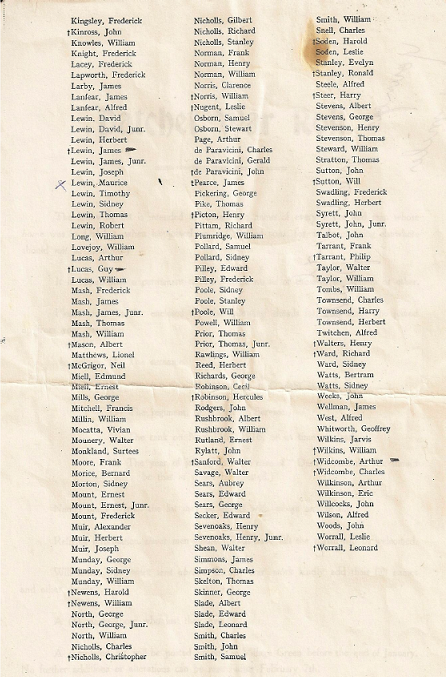 The incomplete list records the names of 350 men. To avoid confusion, we are calling this list the War Roll rather than a Roll of Honour since the latter has come to imply lives lost. As we research the different families in the village, we are discovering quite a number who are missing from this list. So far, we have found more than 40 men with a Datchet connection who are not remembered. Over time, we hope to be able to create a more comprehensive War Roll and perhaps add missing names to the memorial. The incomplete list is published below. Those men who are remembered on the War Memorial are indicated with a †. The War Roll lists 52 men who died but two of these men (Alexander Brown and Henry Davis) are not remembered on the Memorial. Alexander Brown’s family lived at Double Cottages, on the Windsor side of the river at Datchet. Henry Davis’s family haven’t been found yet. There are also four men listed on the Memorial who are not on the War Roll. One of these is George Slade who had married and left the village but still had family here. The fact his name is listed out of alphabetical order, suggests he was a late addition. The others were Ronald Brakspear who had been very involved with village life but who had returned to Henley after his divorce; Leonard Groves who worked for Lional Cust who designed the Memorial, and Robert Adam, a gamekeeper, who may possibly have worked at Ditton Manor. The DVS is indebted to Harry Clasper for taking on the mammoth task of compiling a more complete War Roll. This includes the names of 432 men, nearly 100 more than on the list which was published in 1920. 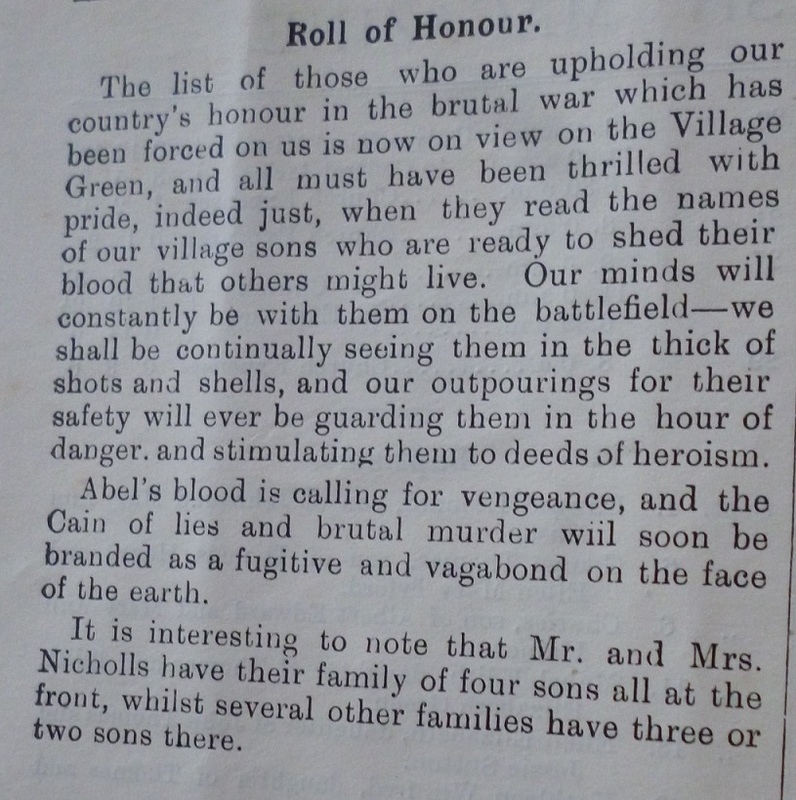 Information for this Revised War Roll came from a variety of sources including Datchet’s Parish magazine, Clint’s Roll, and the Commonwealth War Graves Commision. Please click here to see a pdf of the list: DVS-Revised Datchet War Roll.